Among the Lost (In Dante’s Wake) by Seth Steinzor, which is book 2 (see my review of To Join the Lost), that modernizes Dante’s Purgatorio. 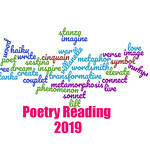 The poems are told in cantos and the entire book can be considered an epic poem. Readers who have never read Dante’s epic poems or have no knowledge of his work should at least get the Cliff Notes version before reading Steinzor’s books, just get the basic idea of what happens. Following in Dante’s wake is an apt reference, as Seth (the narrator, not the poet) is mostly on his own in Purgatorio and interacting with modern inhabitants, including Abraham Lincoln. The arc may be similar between the two, but Steinzor’s work is very modern and can be followed from a contemporary viewpoint. Emerging from Hell, Seth and Dante witness the miracle of birth and, in this first canto, it is both beautiful and painful to watch. In this experience, the narrator calls to mind the connections we all share with one another through this miracle and how despite the severed umbilical cord we remain connected like the roots and branches of a larger tree (one not always visible to the naked eye). In this way, Steinzor draws in the reader to a more personal journey, allowing us to recognize are own struggles with the seven deadly sins and the decisions and situations we make for ourselves. Even as some of the more modern references to Bush and war, Katrina, and other events are now in the past, the struggle to see the humanity in decisions made by leaders and others reflects the continued struggles of our own modern society, which appears ready to rip apart under the current administration. the darkness welling in Lincoln’s eyes. Seth (the narrator) is looking to reunite with his lost, first love, Victoria, who has tapped Dante to be his guide to her. While he’s unsure what motivated his love for Victoria, he strives onward through purgatory — observing and interacting. With Dante less than attentive, Seth is forced to find his own way with little direction from his guide, and in many ways, this mirrors the modern world in which children are forced in many instances to navigate the world on their own as their parents are working more than one job or are inattentive themselves. pushed up by plate tectonics,’ I say. 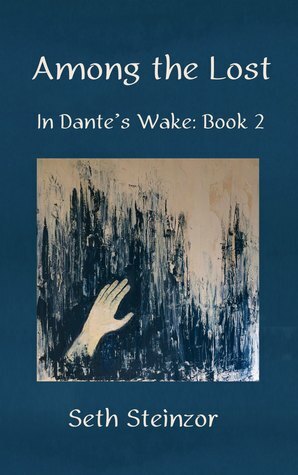 Among the Lost (In Dante’s Wake) by Seth Steinzor is rich in modern story and, having read the first book, it seems bleaker than the trip through hell as an almost hopelessness pervades each canto as Seth (the narrator) makes his way to his lost love. Readers will be forced to look at the modern world in which we live and decide whether their role in it should change, just as Seth is so challenged. Seth Steinzor protested the Vietnam War during his high school years near Buffalo, New York, and his years at Middlebury College, advocated Native American causes after law school, and has made a career as a civil rights attorney, criminal prosecutor, and welfare attorney for the State of Vermont. Throughout he has written poetry. In early 1980s Boston he edited a small literary journal. His first, highly praised book, To Join the Lost, was published in 2010. Thanks for your appreciative review, Serena! Excellent review, Serena! It sounds like a powerful and thought-provoking, change-provoking collection. Great review! Glad you enjoyed it.